Sixth-graders Zavion Gibbs (left) and Deryc Plazz stand in front of their school's "Humans of Jacksonville" wall. 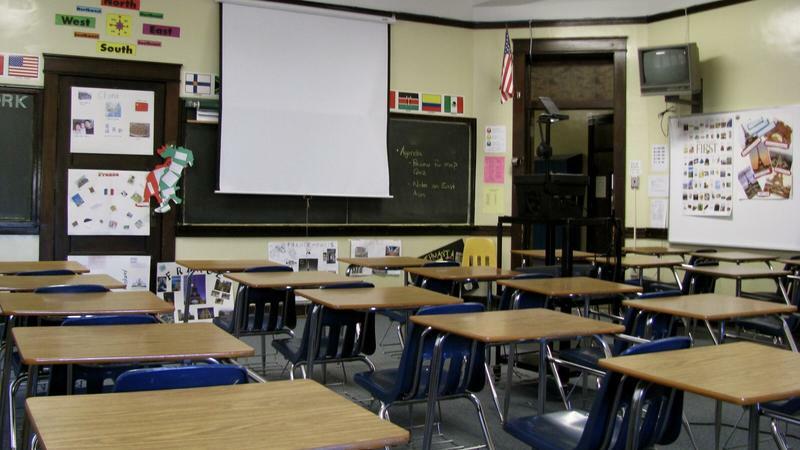 “He was so excited when he came in and so proud that he was done,” said his teacher, Denise Findley. 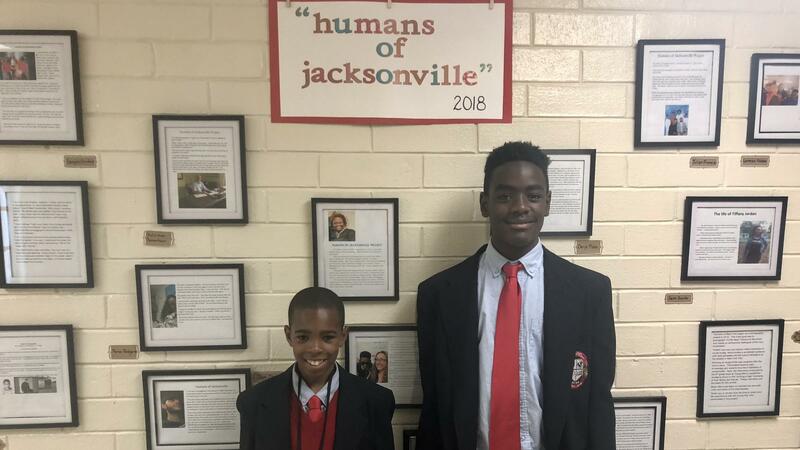 Students at Duval’s Young Men’s Leadership Academy created a "Humans of Jacksonville" wall. Findley’s students at Duval’s Young Men’s Leadership Academy were learning about the concept of coming of age and how transitioning into adulthood is different for everyone. That’s when she introduced the students to the popular blog Humans of New York, which showcases photos of people on the streets of New York City accompanied by stories they tell. 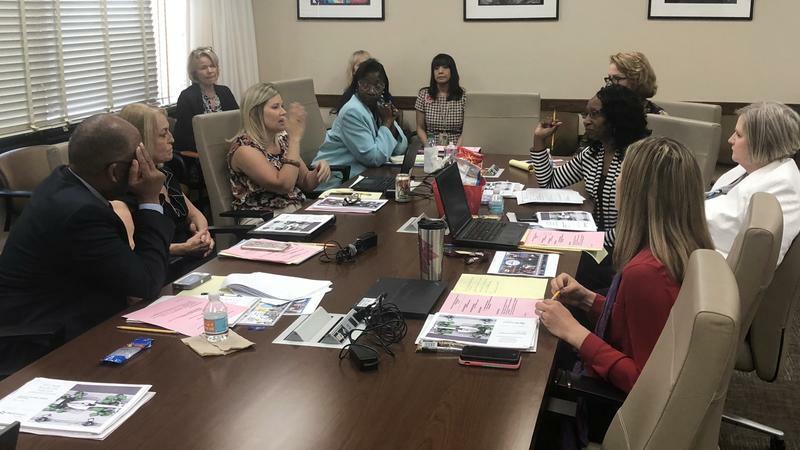 Findley tasked her students with making their own version called “Humans of Jacksonville.” The only requirement: Talk to someone over the age of 18. 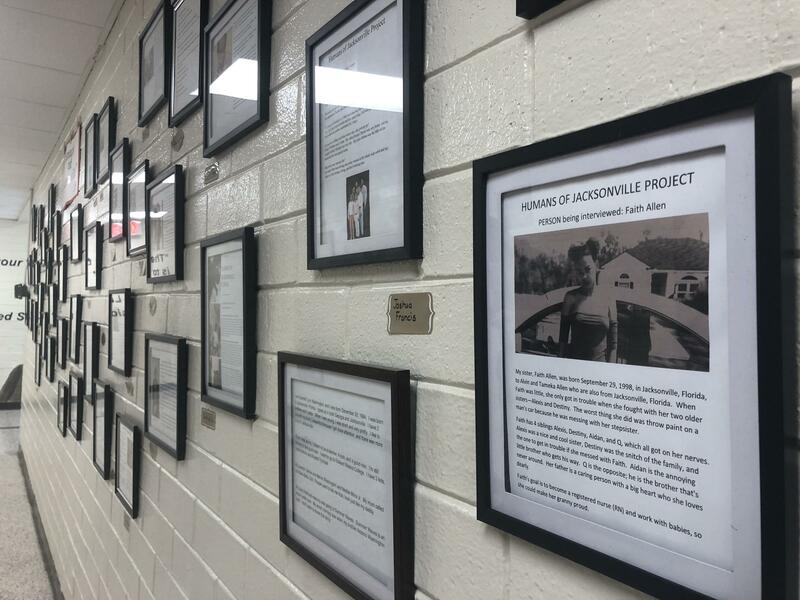 Now the wall outside her classroom is covered in framed stories they collected. “I wanted the boys to hear the histories of their families and the people that are close to them and to get some inspiration from there, and so that’s kind of where it evolved,” she said. Tyrek interviewed his mom. He said he learned she had always wanted to go to Edward Waters College, and now that makes him want to go there. Thirteen-year-old Tyrek Washington contributed to his school's "Humans of Jacksonville" wall. Findley said many of her students took the project very seriously, transcribing their interviews precisely. 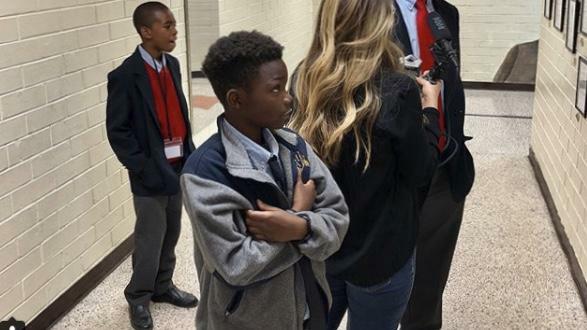 Sixth-grader Deryc Plazz found out his uncle’s worst memory was learning his father had been shot. “I thought if a boy’s father was ‘kilt,’ the same thing was to happen to the boy, so I didn’t know my life would exist,” an excerpt reads. “It actually encouraged me to ask more questions because I realized there’s more stuff that I never knew about my uncle,” Deryc said. “I think my brothers did not like me because daddy always called me special. In his eyes, I could never do no wrong, and when he got a call from school, he would say, ‘Get yo’ tall ‘langy’ self in this car,” it reads. Zavion said he chose his stepmom because she’s “a strong-minded woman,” and people like her should have their stories told. He said that’s what he learned from Humans of New York creator Brandon Stanton. “He doesn’t just blog the famous people, he blogs the everyday people because unlike rich people and all that, they have a story to tell and it’s really special,” Zavion said. Ms. Findley says she plans to make the project an annual tradition. 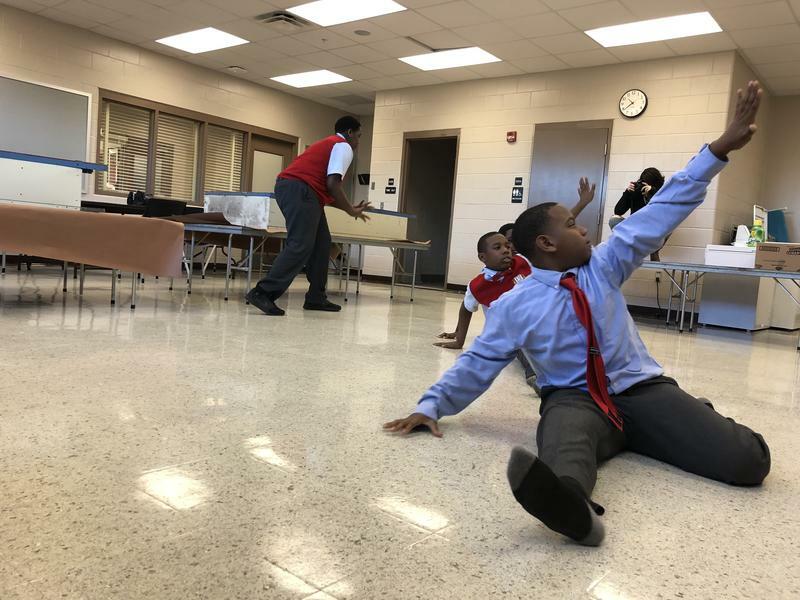 Getting boys into ballet will open doors for them beyond the arts — that’s the belief of one Jacksonville instructor who’s taking dance into middle school classrooms.